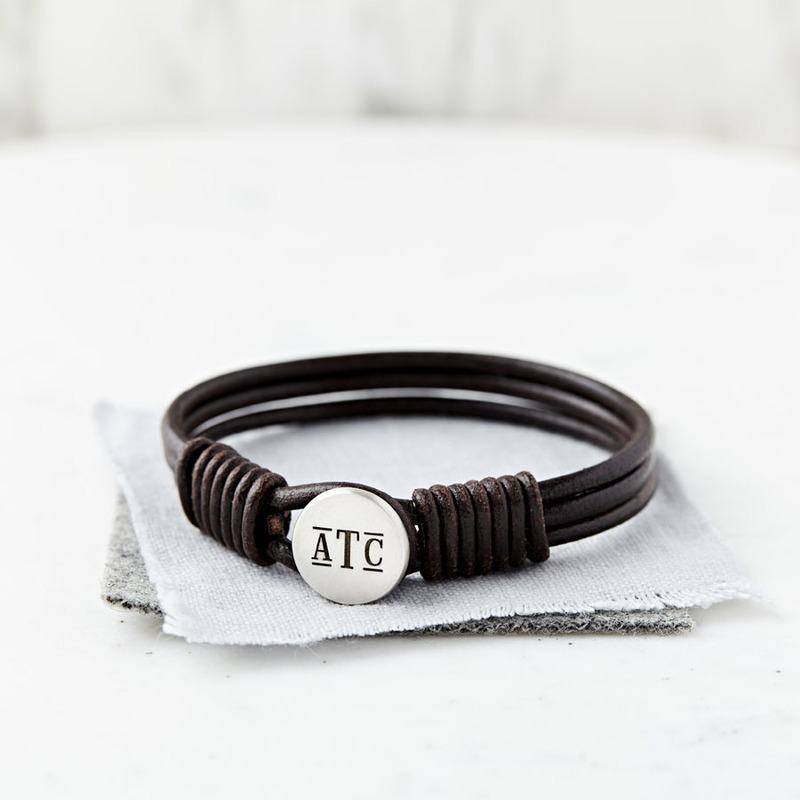 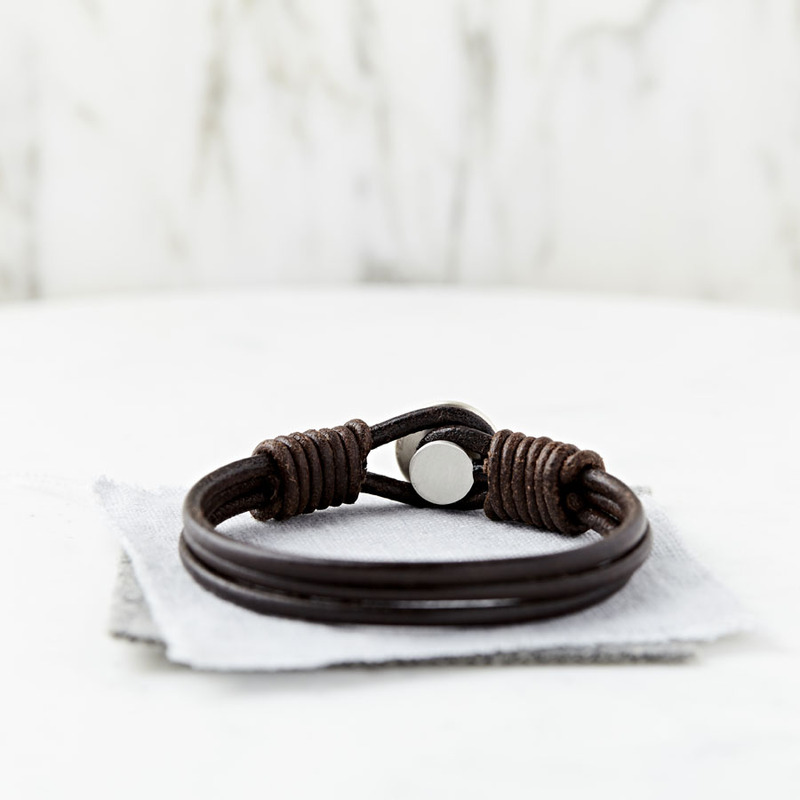 A gorgeous sterling silver and leather bracelet etched with a modern monogram featuring three initials. 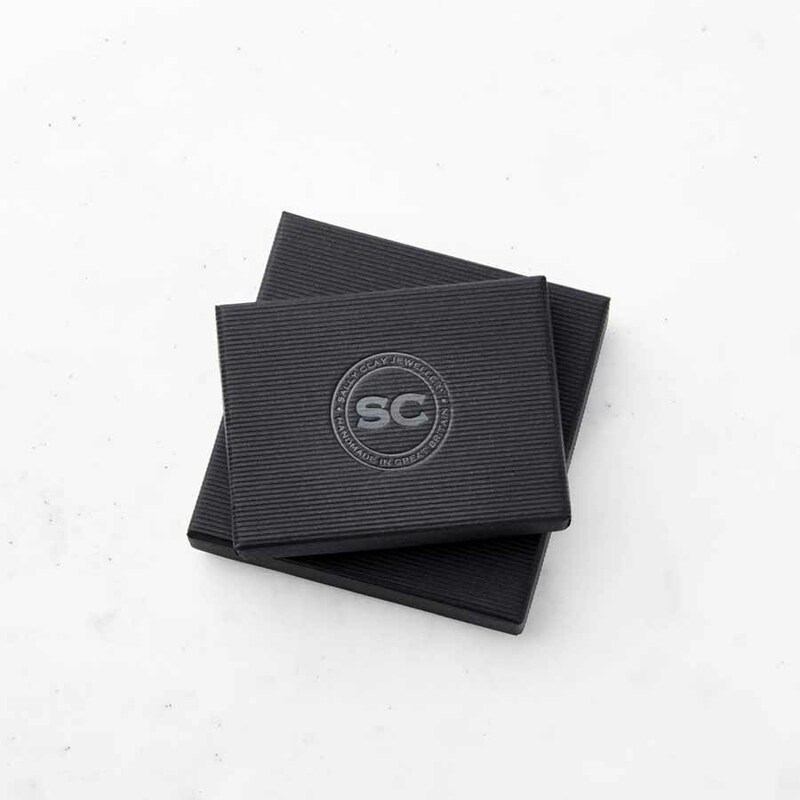 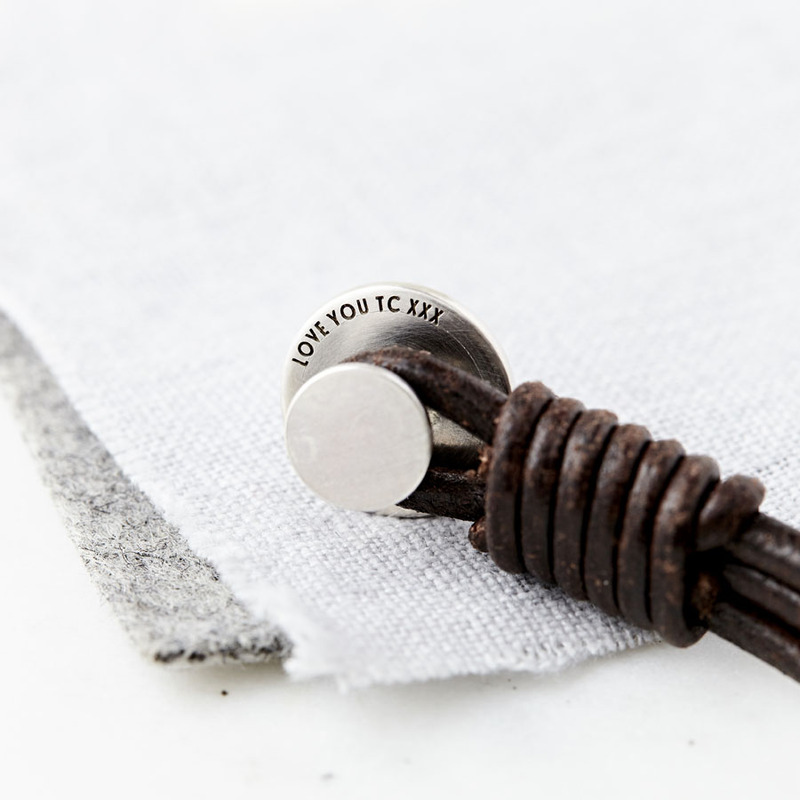 A hidden message can also be etched on the back of the silver stud, this could be something between just you and the wearer – a special date, a name/s or a secret message from you to them. 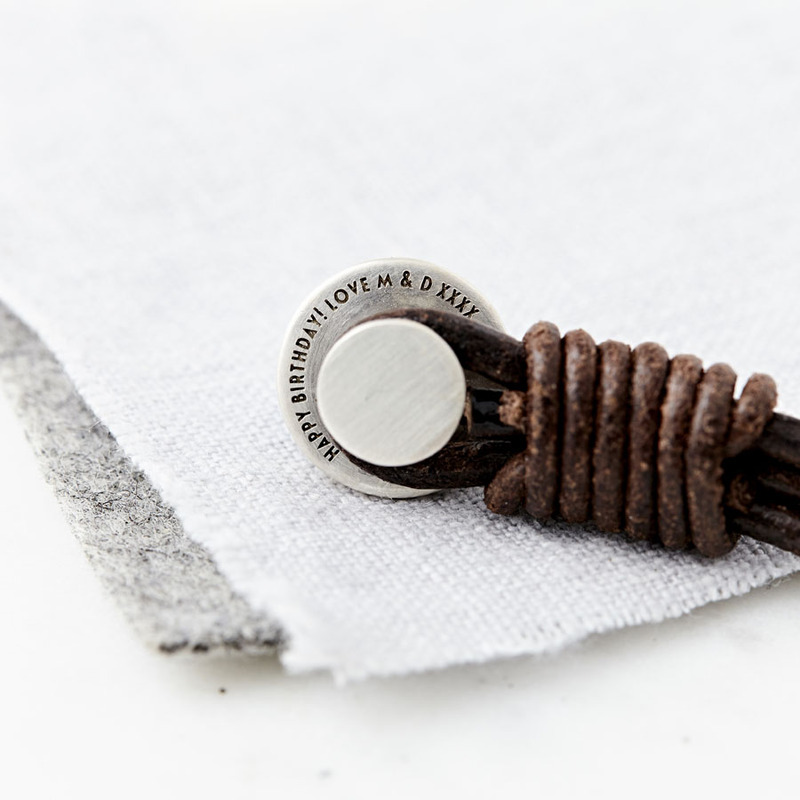 The three initials could be the wearers initials, yours and his initials combined, or perhaps the children’s initials.